What makes a 15 year old boy from a well-off family and son of a headmaster left home to join Hizbul in 2010. The countless questions are embedded in the heart of every kashmiri, unfortunately no answers are echoed but the noises of bullets getting louder and louder. No one is a born terrorist, no one wants to leave his family at such a young age. The root cause of the problem is evidently the People in Power. We can question but who will answer? The clear failure of government and the way armed forces are told to deal with a sensitive issue are leading the paradise into pain. The separatists are enjoying the leisure life while the young kashmiri are being diverted to guns and their innocence is symbolized as a face of militancy in Kashmir… Let’s forget about militants killing in Kashmir, can anyone has the guts to answer that why a lot of local civilian lost their lives during all those years of unrest. When the sufferings will be going to end? Who is going to answer? Recently spotted a local newspaper about the situation in South Kashmir and the headline reads: “Mentally, we are militants. If weapons were available, there would be more armed militants”, said an unknown young kashmiri. A 29-year-old teacher describes Kashmir’s relationship with India as “a gone chapter”. The bridges between the two, he says, “have been burnt forever”. “The bottom line is India does not trust Kashmiris, and Kashmiris don’t trust India,” he says. A journey is yet to begin from An Independence Day to Happy Independence Day! On this day, i dream for India which is free from Communal rights, Racism, Regionalism, Injustice, and primarily wherein girls will be treated with respect. For me, it’s not a HAPPY independence day, it’s just an another day. Because the martyrs who fought for the freedom, certainly did not imagine & battle for the kind of India, we have made it today. For the true freedom, the battle is much harder. We can prefix the HAPPY word with this day, when people change their mindsets, when people stop discriminating on the basis of class, religion or region, when people start acting to restore the dignity of women, when people stop being silent and bearing something wrong, when people do or fight for the justice, when Eid would also be celebrated like Diwali, when people migrate to any city across India without fear, when there won’t be any border inside India. A simple thought . 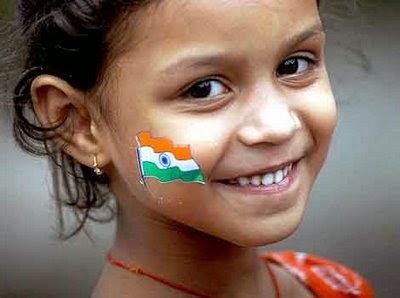 A simple message to inspire millions of Indians in the hope that we bestow a better Happy Independence Day to our kids. But i would say that there is a really long wait ahead. . . till then the shout of politics will take over the silence of the logical India! Since the very beginning of 2014, I have been involved in observing life more closely, researching the soul sparingly and trying to regain in coping up with the world of changing realities… Perhaps, when we feel alone and low (the state of mind everyone must have faced in life at different intervals), we become more conscious of our emotions and could lead to emotional outburst. Life is not what we always dreamed it to be. …You may be thinking that I’m hashing out a vague chat here, so let me make this clear that writing about something which is an ultimate attempt to reflect our immense emotions, changing mindsets & ups n downs situations in life is what I love to experiment with. Nowadays we seek or search the obvious things which were bestowed upon us when we were kids or I would say away from this so-called innovative ways of leading life. Don’t you feel that life was simpler at the time of our grandpa & grandma when problems were sorted out with love and dealt with caution? “Words”… Yes the words were less and supposed to be said after thinking twice as the exchange mediums were limited… but today where the exchange of words have become easier, so the people like us… like you… forgot the value of words or the damage it can cause on one go. I jotted my random sleepy thoughts for my readers… Hope this piece of writing carries meaning to you and derives the expressions within. Knock Knock!!! Is Happiness There? Have you ever asked yourself a question that What is happiness mean to you? or What makes you happy? or How you measure your happiness? Your answer would probably in “No.. Nah.. Never thought of doing such thing…”. Let me tell you the hard hitting reality that we all want to stay happy but somehow forgotten the ways to unleash the chambers of happiness, that’s why we have been searching happiness still not finding it. Lately, I’ve seen “The Happy Page” on facebook that is illustrating multiple ways to express what happiness is. This has been an inspiring factor for me to explore more about this sorcerous word – “Happiness”. I believe happiness has a different connotation for different people like some people feel happy when they have money, others may feel happy when they have friends. Happiness is love.. Happiness is childhood… Happiness is friendship… Happiness is travelling… Happiness is sunsets… Happiness is …… …? I’m certain that you all must have a unique sequence likewise. But do we actually find happiness ultimately? Happiness has a P.O. Box address now!!! In today’s mundane lifestyle when we’re busy looking out for things, people, places, and many more to make us feel happy. This is surely a short-cut street for all of us to meet the “Highness Happiness”, place your palm on your heart to knock the doors rather than taking long indirect roads to happiness.